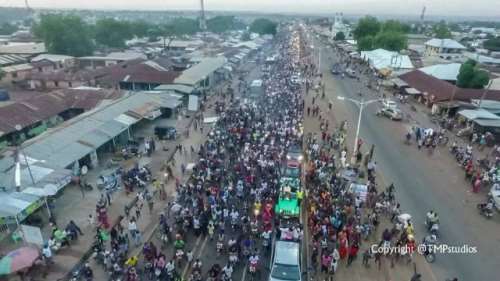 It was a clear repeat of 2017 but this time around the numbers simply quadrupled! 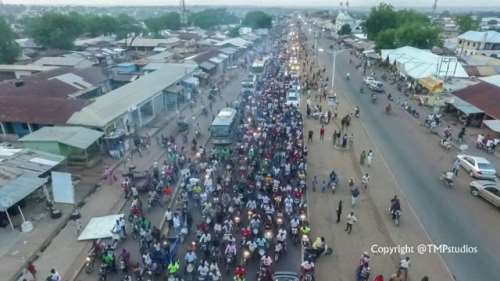 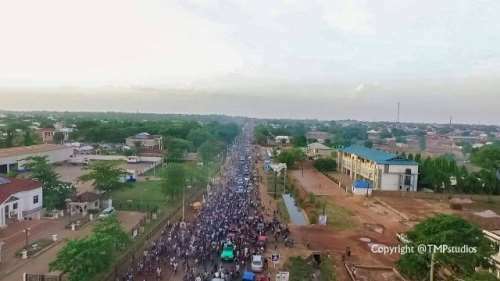 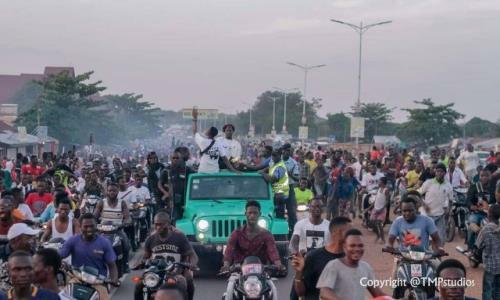 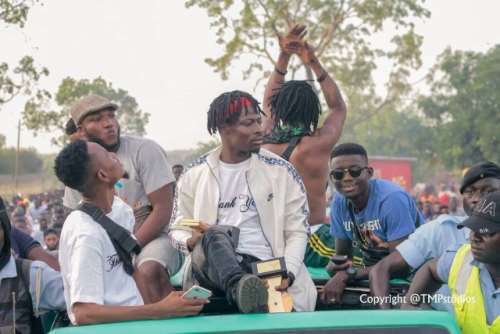 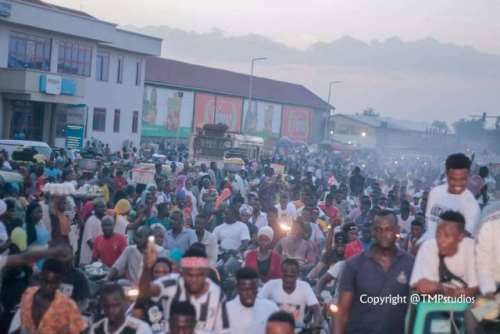 Thousands, maybe tens of thousands, filled the streets of Tamale as their hero, Fancy Gadam, made a triumphant entry into the capital. 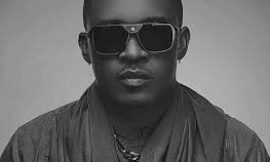 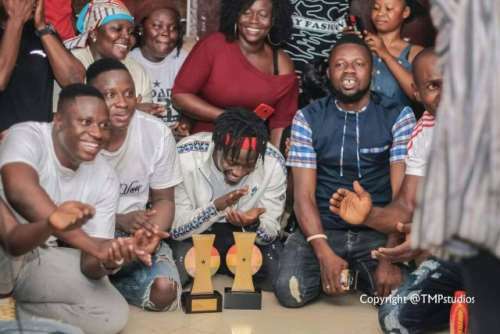 The pride of the North returned home after winning two awards at the 2018 Vodafone Ghana Music Awards Saturday night. 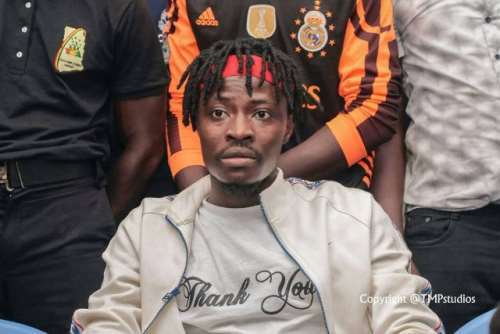 Fancy Gadam won ‘Hiplife Song of the Year’ and ‘Song of the Year’ with his song ‘Total Cheat’, which featured rapper Sarkodie. 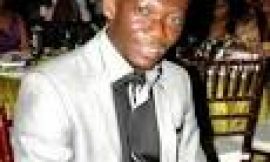 The ‘Song of the Year’ win left a bitter pill in the mouth of Swedru-based artiste Patapaa. 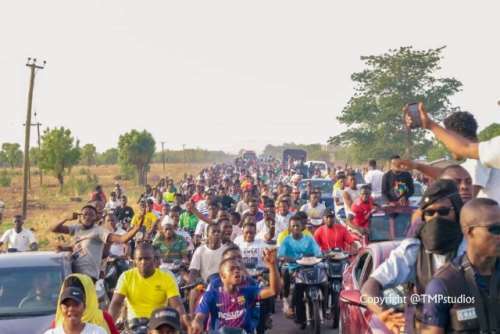 In 2017 after achieving a great feat by beating the highly tipped Medikal to win the ‘Best New Act’, hundreds of fans lined up the streets to welcome him home. 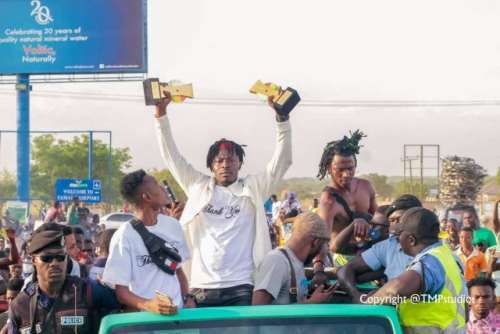 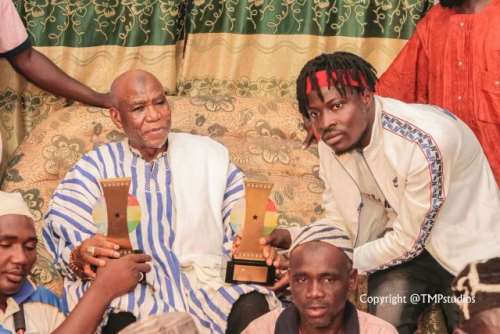 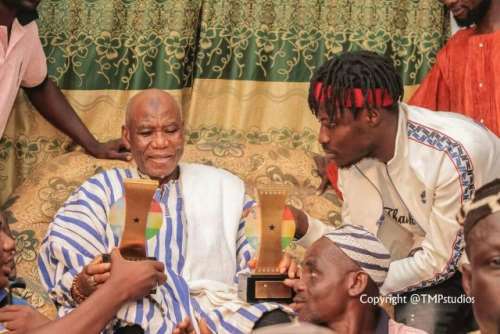 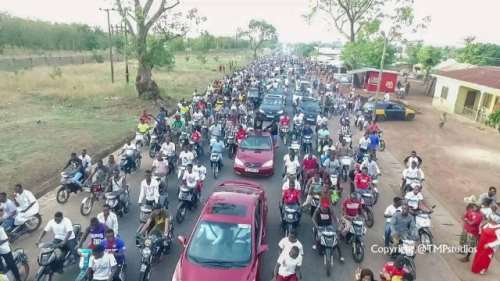 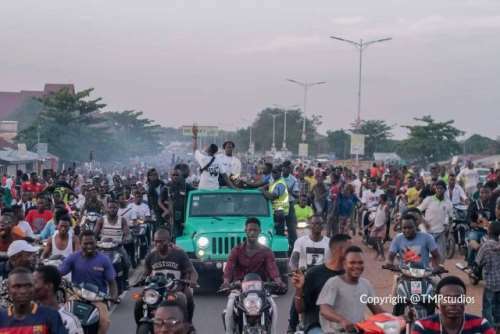 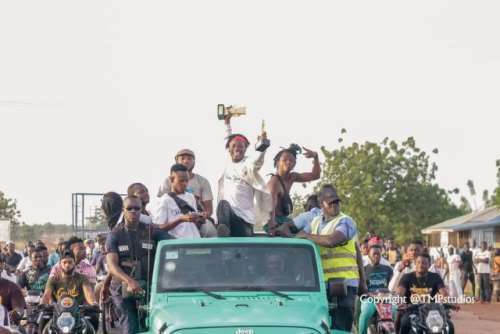 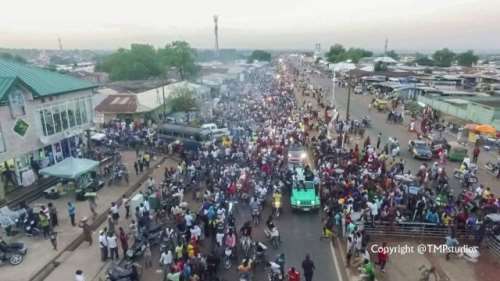 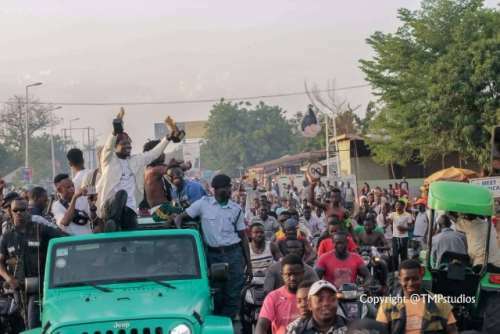 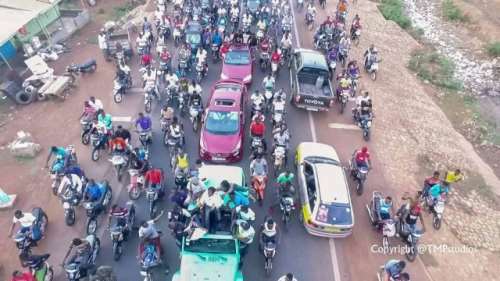 The streets of Tamale were again chocked with fans, several motor riders and drummers to welcome their son after his success at the same awards. 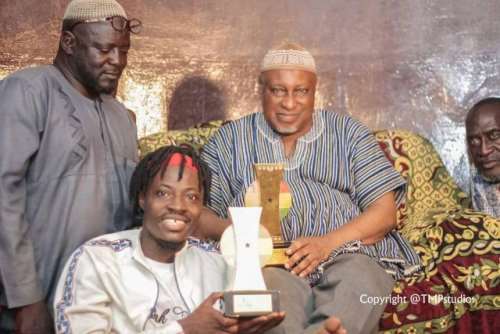 Fancy Gadam, born Ahmed Mujahid Bello, beat Medikal, Nii Funny, Article Wan, Feli Nuna, Ebony, Rudebwoy Ranking and Eugy to win the award. 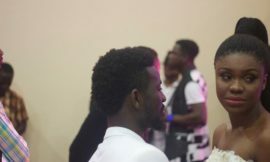 Becca and Bisa Kdei kiss in public?